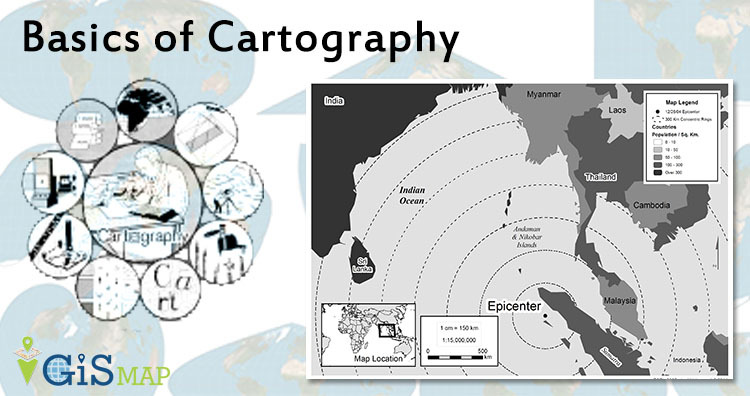 Cartography is a science which deals with the study and drawing of maps. Simply, we can say it is related to mapmaking methods. Cartography is made of two words ‘Carto’ means map or chart and graphy means ‘to draw’ or ‘to write’. Here in this article we will understand Basics of Cartography: Map, Map Projection. Cartography is related to representation while GIS is concerned with the analysis of spatial data. Sometimes, maps becomes more popular than their makers. A visual depiction of all or part of an area on a flat plane is termed as MAP. Simply, we can say art of representing the surface of sphere or three dimensional into two dimensional body. A map projection is the method to represent the spherical surface or object like that in two dimensional plane or flat surface. So therefore, there are both distortion and projection. The name of the projection is the shape that the image is projected onto. It is also known as Mercator Projection. One can imagine that a paper to be wrapped as a cylindrical around the globe, tangent to it along the equator. In this projection size and shape of land near poles are highly distorted. Area near the equator is lightly distorted. Direction provided in this cylindrical map projection is accurate. 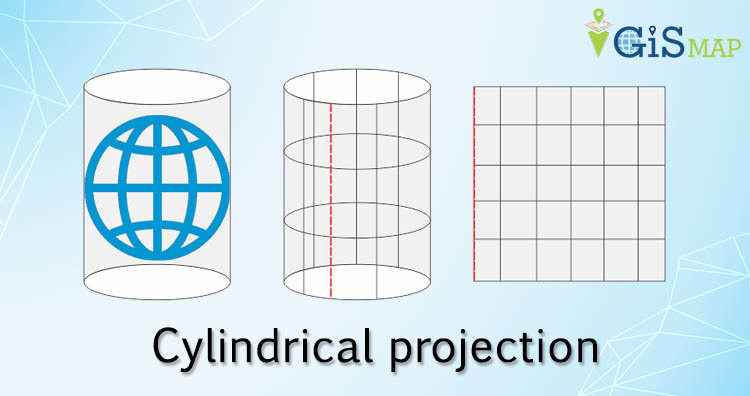 Cylindrical Map Projection is important for navigation. 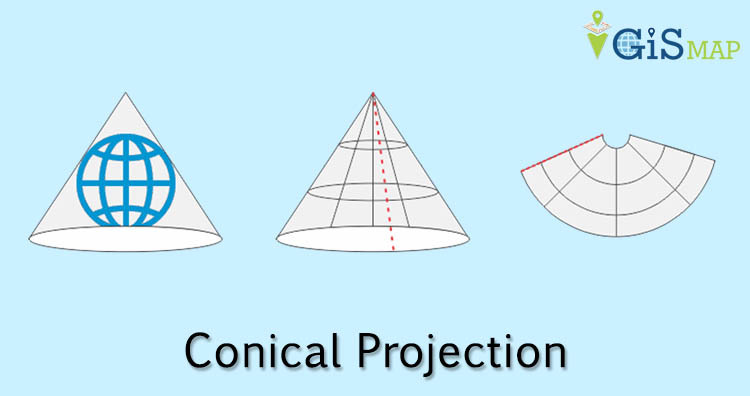 In a conic projection area of the Earth is projected on to the cone. Simply we can say when we place a cone on the Earth and unwrap it, then the result of the projection is termed as conic projection. It is tangent to the Earth along a line of latitude. 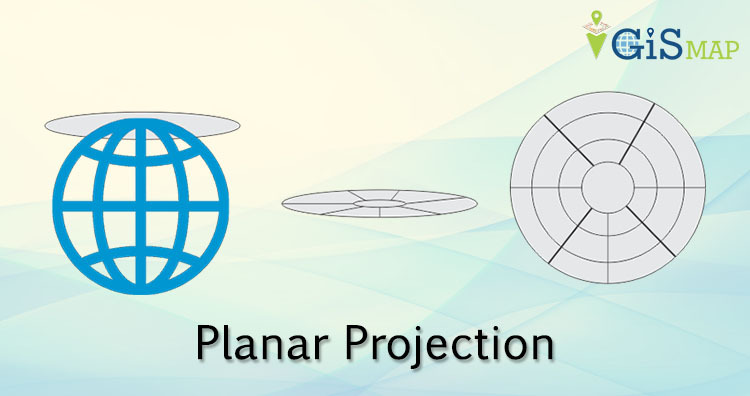 Planar projection also known as azimuthal projection. In this projection a flat sheet of paper is tangent to Earth at one point. Point of contact may be any point on Earth surface; most importantly north and south poles are used for GIS database. Selection of point of contact depends on the reasons why we need projection or what type of function we want to do with the projection. Hence, in this article we have covered Map projection. Hope this article filled the void by providing basics of Cartography. Furthermore, you can sign up for free tutorials.